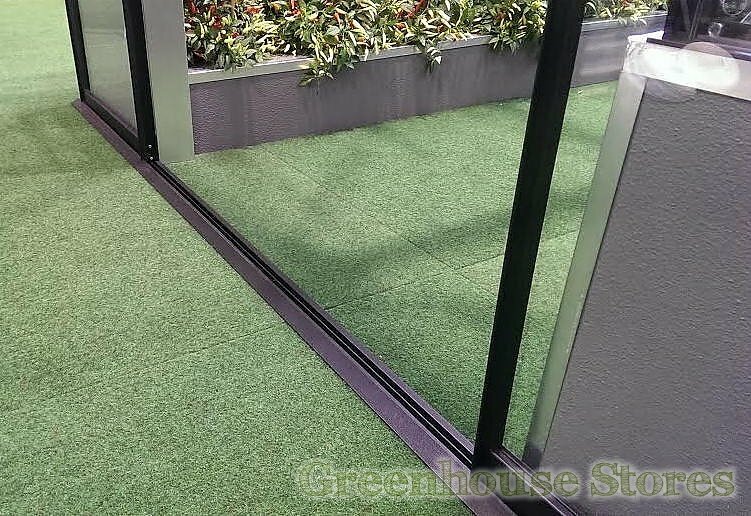 3mm Toughened Glass - Full Length Safety Glazing. 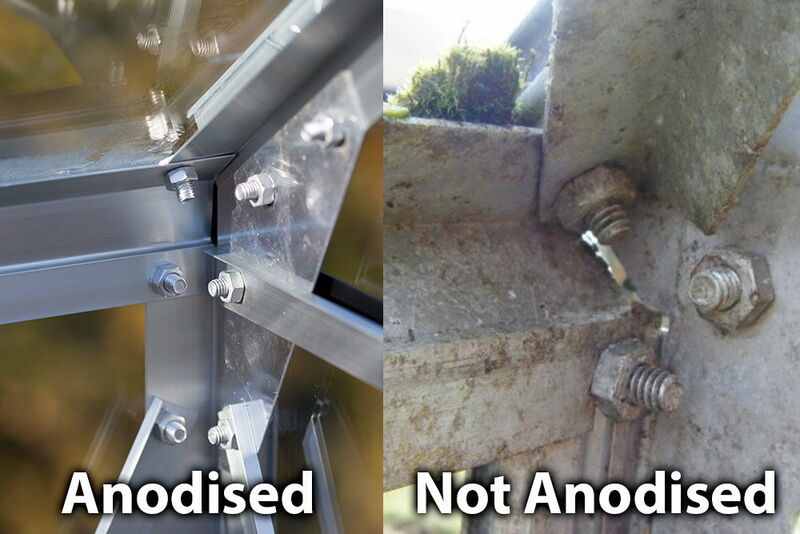 Anodised Aluminum Frame - Stays shiny and new looking. 1 Opening Roof Vent - To let hot air escape. 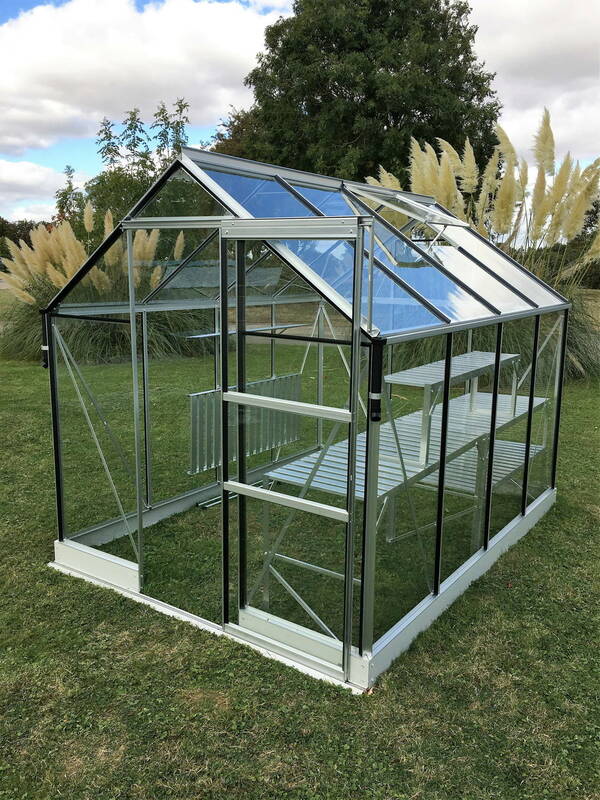 The Vitavia Apollo Silver 8x6 Greenhouse with horticultural glass is the most widely used size by gardeners and allotment keepers in the UK. 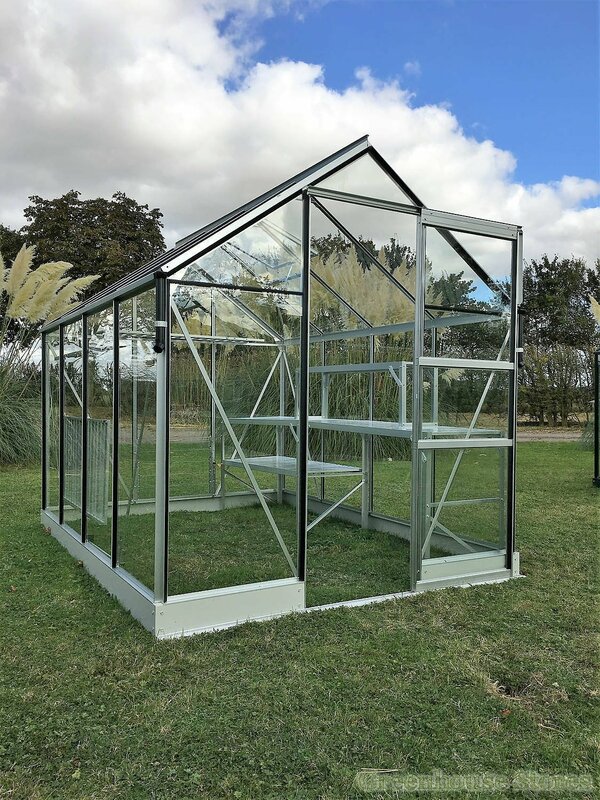 There’s plenty of room inside for a huge selection of shelving, staging and all sorts of plants and vegetables. 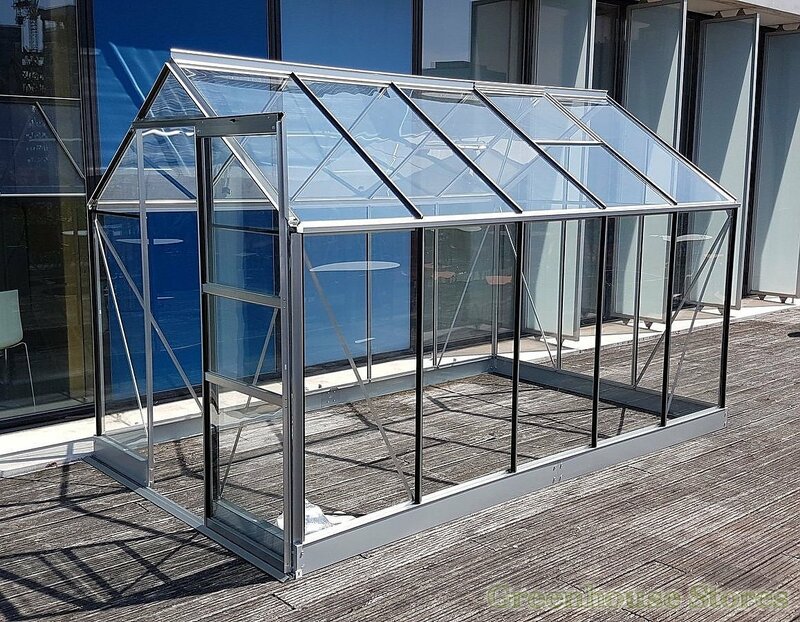 Toughened Safety Glass gives the whole greenhouse extra strength as it’s full length giving added rigidity that’s we recommend toughened glazing for windy locations. 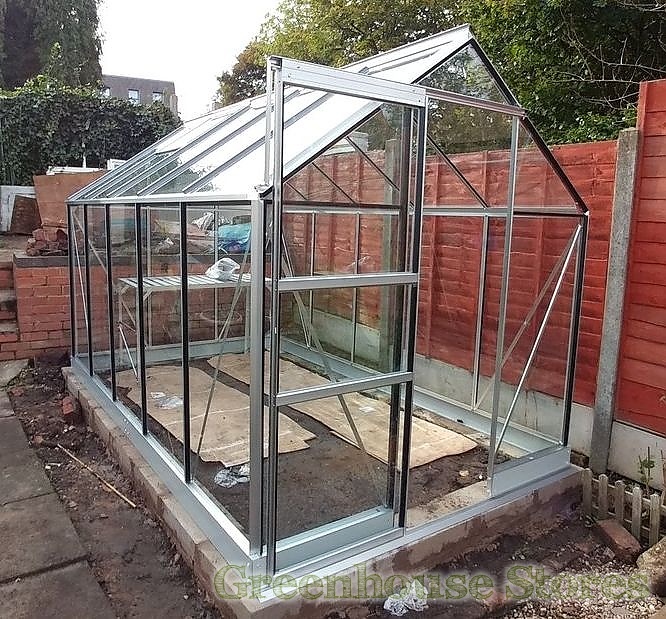 If toughened glass does break it smashes into tiny little harmless pebbles, rather than long shards like standard greenhouse glass, making it much safer than normal greenhouse glass. 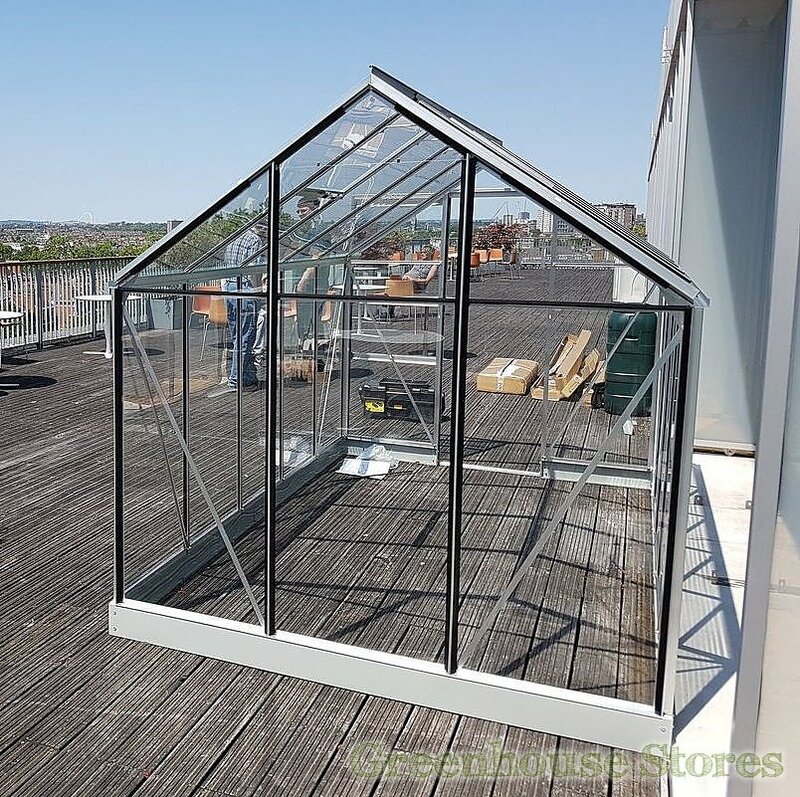 This Apollo 5000 8ft x 6ft model has an opening roof vent for ventilation, a single sliding door that can be fitted to slide left or right and integral gutters. 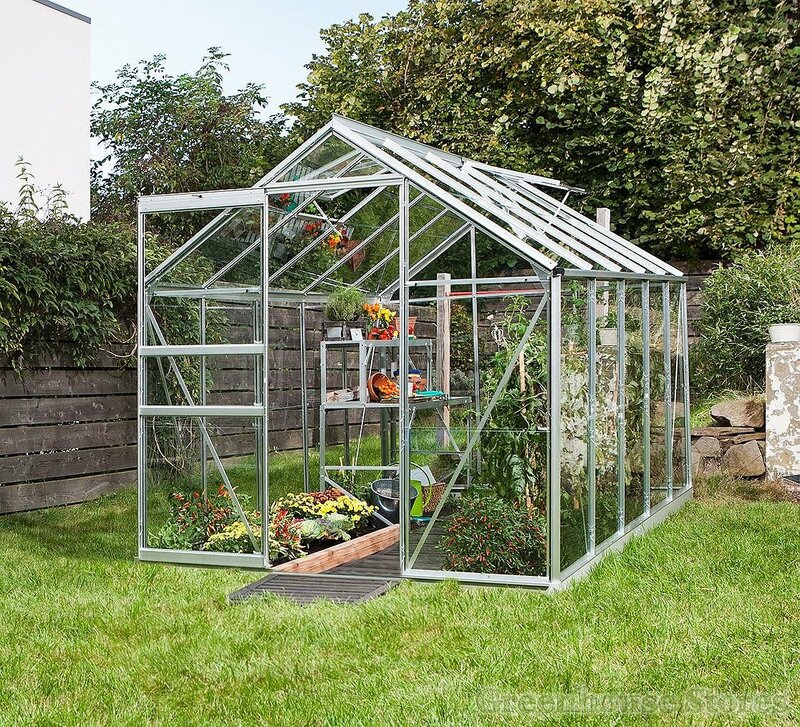 Collect the rainwater from the gutters in your greenhouse. 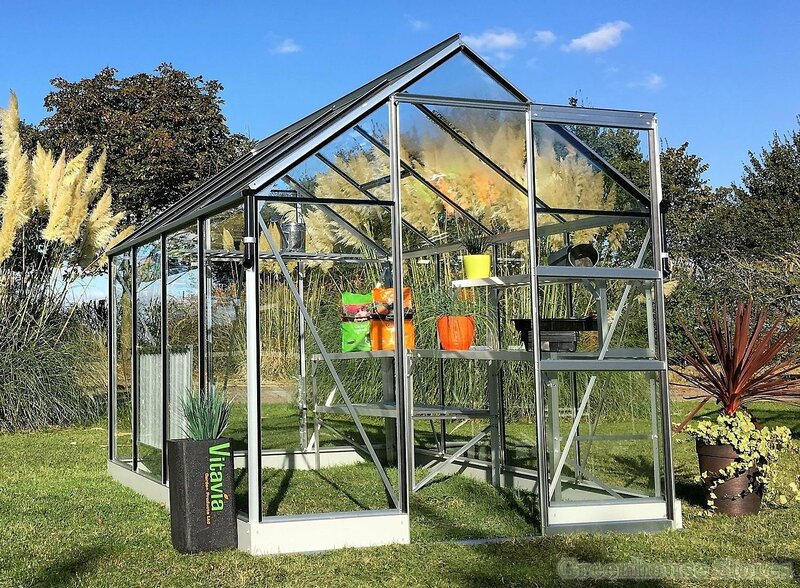 Rainwater is the best water for your plants. Contains 2 downpipes, one for each side. 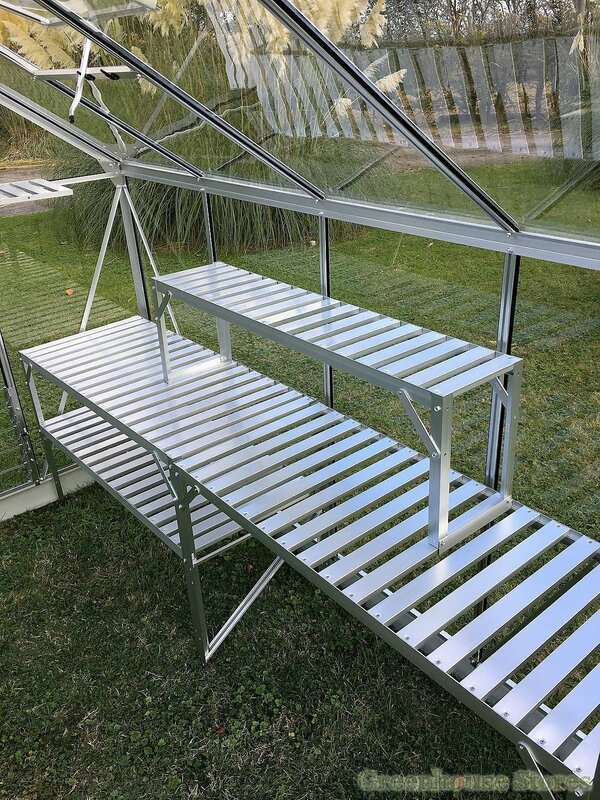 This little silver folding shelf is handy for storing plants, seeds or tools in your greenhouse and folds away when you don’t need it. 120cm long x 30cm wide. 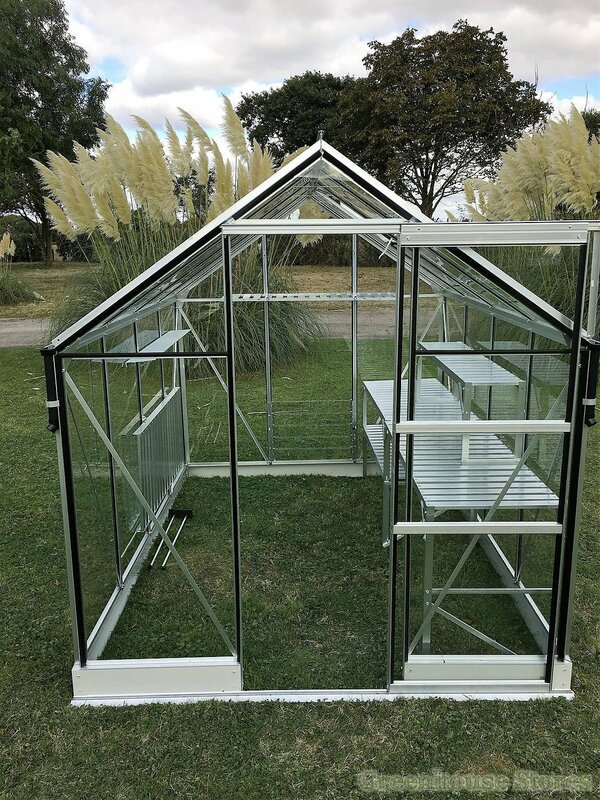 This silver staging simply folds out from the frame of your greenhouse when you need it and is supported by 2 folding legs. 120cm long x 50cm wide.